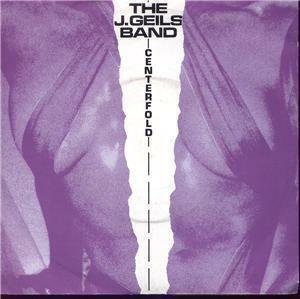 Centerfold was a single released by The J. Geils Band from their album Freeze Frame. The song is about a man who is shocked to discover that his high school crush appeared in a centerfold spread for a men's magazine. In February 1983, a year after the song hit #1 in the US, Centerfold peaked at number 3 in the UK Top 40, earning The J. Geils Band their only major hit single in the UK, although follow-up Freeze-Frame was a minor hit. The song lists at #52 on Billboard's All Time Top Songs.